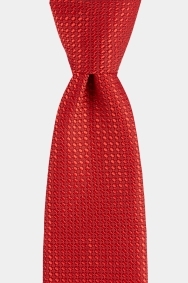 When your outfit is calling for something bright to give it eye-catching merit, this tie is ideal. 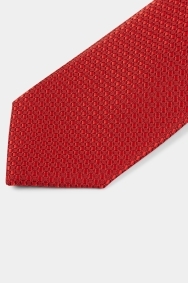 The vivid red will offset a navy suit and white shirt combination while the texture adds depth. It has a slim 5.5cm blade width, making it a sharp accessory to pair with a slim or skinny fit suit. Additional item recommended by your staff. Took his time to find me the right size and very welcoming and professional looking,good behaviour. Changed the tie to match partners prom dress, no prtoblem with changing at the shop. It cwas dealt with very easily.